If you’re looking for a used car in Nashville, we can assist you there as well. Visit our used car inventory page to see our large collection of pre-owned vehicles. Beaman Toyota is not just a Nashville Toyota dealership, we also provide a full line of services dedicated to our customers near Murfreesboro, Franklin and all greater Tennessee area customers. 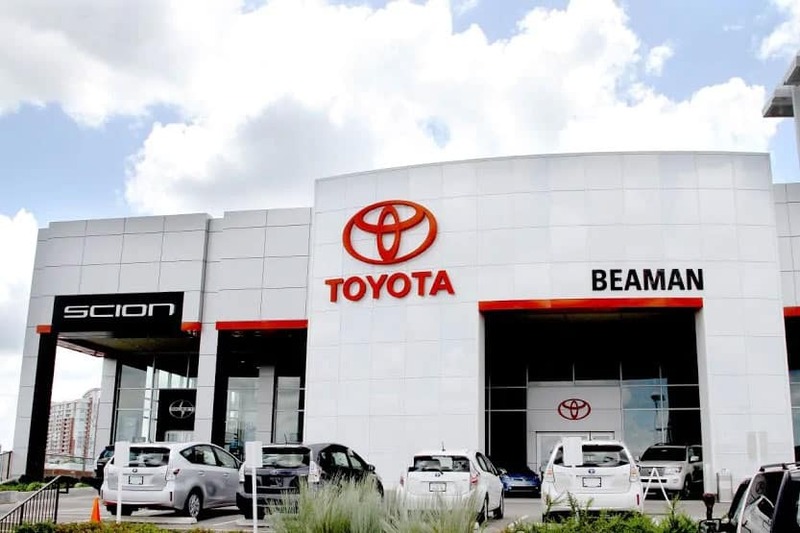 From Toyota service and auto repair performed by expert mechanics, to Toyota parts, to a car loan or lease, Beaman Toyota is a smart choice for all your automotive needs. If you have been unfortunate enough to have been in an accident our collision center is the first place you should turn. We do auto body repairs on all types of cars, trucks and SUVs from Madison and beyond and our collision center staff will work with you to make sure your car is fixed and repaired exactly the way you want it to be. Our vision is to forever remain one of the absolute best automotive dealerships! Our mission is to treat our associates, customers and our community with the utmost respect and dignity and achieve excellence by emphasizing trust, loyalty and ethics! We trust our associates as valuable members of our Beaman Automotive Group Family and pledge to treat one another with loyalty, respect and dignity. We recognize and affirm the unique and intrinsic worth of each individual, whether associate or customer. Integrity is never compromised. Our conduct is socially responsible and commands respect for our integrity and positive contribution to society. Our doors are open to women and men to meet our standards and share our visions. Fulfilling associates and customer needs is the prime reason for our company’s existence. All associates have a responsibility to exceed customer expectations through quality service in a manner which will encourage long-term relationships. Profits are the result of how efficiently we provide customers with products and services that meet or exceed their needs. Profits enable us to invest in the future. Customers are continuously informed with openness and honesty as to the status of their new Toyota or used car auto service and repair until completion. Phone calls are answered and returned in a prompt and courteous manner. Customers are provided a clean, comfortable facility. Reasons for any dissatisfaction are identified and the appropriate corrective measures are taken immediately. Any associate that receives a customer or associate concern, owns the concern and follows it through until the concern is resolved. Associates are easily recognizable, identifiable and are professional in appearance and behavior. Associates are provided a safe, comfortable environment, free of drugs, smoke and harassment and given access to up-to-date equipment and technology. As members of the Beaman Automotive Group Family, we are ambassadors of the company, whether on the job or off, and that will be reflected in our daily conduct.